In addition to writing books I also write regulary for The Tipp Tatler and Life and Fitness Magazine. It is difficult to believe that childhood largely dictates how our adult life will be. The seeds are sown from very early childhood before conscious memory begins, and, therefore, in a counselling setting it can take months for the adult to make the connections between childhood and adulthood. It can be challenging to realise that what determines how we will be later in life is the nature of the attachment we have to our parents or caregivers from birth onwards. Attachment is a psychological term, and a secure attachment is an intense and unique relationship that forms a lifelong bond. The person that the child forms the bond with is known as the attachment figure. An insecure attachment, on the other hand, is the opposite, where no bond or a very weak one is formed, and from that comes many of the painful issues that beset us in adulthood. This book examines some of these wounds and shows how we can heal them. It explores fear, anger and jealousy and many other stresses related to these, which are outlined throughout the book. This book is not meant to be a criticism of parents or caregivers. We do our best as parents, but we must face the reality that our best is not always enough. We are human, but our most important role in life is to properly nurture our children. We don’t have to be award-winning parents; we only need to be good enough. Unfortunately, some of us fail to be good enough. The impact from the death of a child is told by all members of the O’Shea family. The death of a child is traumatic in the extreme, and I hope that others who have suffered the death of a child may find some consolation from this book. You can order this book from Veritas or by calling 01 8788177. You can also get it from Bookworm, Amazon and all major bookshops. The royalties from this book are given to the Children’s Hospital in Crumlin. Please click on the link below to find out more about this book and download a chapter. Abuse – Domestic Violence, Workplace and School Bullying – Cork University Press, Cork, Ireland 2011. Available from Cork University Press, Amazon and all major bookshops. The book looks at five types of abuse – physical, emotional/psychological/mental, verbal, sexual, and financial/economic, which will be examined in the context of intimate relationships. Bullying in the workplace, which can contain all of these types of abuse, is also explored. While there is a chapter on child abuse, the book mainly focuses on adult victims and highlights the harrowing behaviours of abusers. 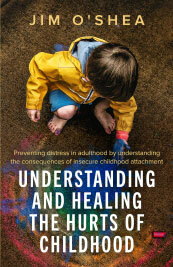 It looks at the concept of boundaries, which are breached by abusive behaviours, and examines the abusive personality, how the abuser thinks, and the importance of childhood issues in shaping the abusive personality. Finally, the book outlines the concept of leaving an abusive relationship, and what to do when that decision is made. It ends with a chapter challenging abusive people to change their behaviours. This novel is an account of a world long forgotten. 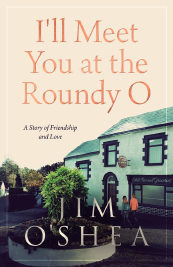 In a humorous and entertaining way, it looks at aspects of life in a small parish in rural Ireland in the late 1940s, 1950s and 1960s. It is a fictional work based on fact, and the protagonists are mainly people struggling with poverty. Parts of the novel revolve around five youths, who formed a gang from a very early age, and how they interacted with the adults of the time. The novel also shows how the youth of the time developed, growing from childhood to adolescence to young adulthood, how their sexuality formed, and how inhibited they were in their romantic relationships. The incidents in the novel are fictionalised, but many are based on what happened in real life and bring to life what it was like to live at that time. Priest, Politics and Society in Post-famine Ireland – Wolfhound Press, Dublin & Humanities Press, New Jersey, 1983. This was the first in-depth study of the role of the Irish priests in Irish political life, and shows the wide-ranging and crucial role they played in the political and social movements in post-Famine Ireland. The book also looks at the level of vocations, the education of the priests, and the extent of Mass going in pre-Famine Ireland. It focuses on Co. Tipperary, and this facilitates a study of great depth. Available from Kennys and Amazon.. Prince of Swindlers. John Sadleir M.P. 1813-1856 – Geography Publications, Dublin, 1999. This is the extraordinary story of the rise and fall of John Sadleir. Scion of a Catholic gentry family, Sadleir was educated at Clongowes, became a solicitor, Member of Parliament, newspaper proprietor, defender of the Catholic faith, and above all a speculator in votes, land, railways and banks. Unfortunately, he became one of the biggest swindlers of the Nineteenth Century, bringing misery to thousands of people who trusted him. He lies in an unmarked grave in Highgate Cemetery. Available from Geography Publications, Bookworm and Amazon. Below is extract from a series of articles I have written for the The Tipp Tatler. In the coming months I hope to write some brief articles on the many issues that cause distress to people, which sometimes result in their resorting to counselling. In this first article, however, I would like to explain what counselling is all about, with a specific focus on humanistic counselling. There was a time, and not so very long ago, when people felt ashamed of going for counselling. Their families almost saw it as a stigma. Thankfully, that has changed; and better still, more and more men now turn to counselling in times of distress. The person who comes to counselling is generally vulnerable, and it is important to stress that vulnerability is not a weakness, but one of the greatest strengths we have. It enables us to reach out to others.